We specialize in residential concrete services. 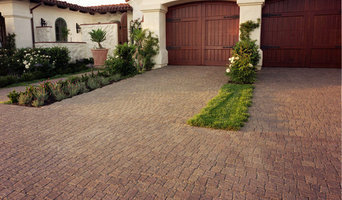 Whether it be a simple walkway or a brand new stamped driveway, we offer the right solution for every client's needs. We are a family based company that strives to offer the best quality work at reasonable prices. When taking on a new project, our clients can trust we make the process as smooth and easy as possible without wasting any time! Some clients know exactly what they want and others rely on our guidance and we are happy to offer suggestions and creative ideas to create exactly what a client is hoping for. We are bonded, licensed and insured. Call us today for a free estimate! San Diego native Bart Jacobs bought La Jolla pools in 2005, and turned an ailing company into one of the premier pool-contracting companies in San Diego County. Today—through La Jolla Pools—Bart and his employees build extraordinary custom pools that are the envy of the industry and the delight of his clients. La Jolla Pools provides the highest quality pool and spa construction and remodeling projects. We build loyalty with our customers and success for our company by completing projects on schedule, paying strict attention to detail and providing topnotch post-construction service. Achieving these goals ensures first-class results for our customers, and referral and repeat business for the company. We outpace our competition in quality, responsiveness, product knowledge and integrity. These attributes have helped us build life-long relationships with our clients, our employees, our subcontractors and our suppliers. Our promise is to work with you as partners on your project–from start to finish and beyond—to provide you with results that meet and exceed your expectations. Celebrating 41 years of top quality cabinetry & world-class craftsmanship! Holland’s Custom Cabinets, Inc. began back in 1977. In the decades since, our quality and timeless elegance has earned this company the reputation as one of San Diego’s—and all of California’s—most talented, visionary team of craftsmen and designers. Our cabinetry is ideal for just about every room in your house. From kitchens, to media rooms, bars, and baths, our world-class craftsmanship will ensure you get the look you've always dreamed of. At Holland’s our project managers, designers, and master craftsmen will make sure you always feel at home. And together, we’ll take your home to a whole new level of beauty and style. Partners Vulfie Munson and J. Paloma Glass co-founded Olde World Artisans in 1988. With a combined experience of over 35 years in the remodeling and home improvement industry, they have developed a reputation of integrity and client satisfaction. Our mission has always been to provide the best service possible by listening to our clients needs, and to always learn and improve ourselves on a constant basis. Projects we have had over the years have ranged from commercial projects to residential homes, many times taking us to cities other than our home base in San Diego, CA. Starting as a professional painting contractor in 1980, Vulfie Munson has become an accomplished sculptor and has exhibited his lost wax bronze sculptures in art shows and galleries. Then in 1988 Vulfie partnered up with Paloma who was working as a faux finishing artist at that time. Paloma majored in the interior design and art field and worked as an interior designer before going into faux finishes. Paloma has appeared as a regular guest on “American Home Repair”, a nationally syndicated home improvement program. Together they have worked on numerous remodels and share an avid enthusiasm for turning houses into homes. You can find a broad range of specialty contractors from elevator companies to packers and movers in Santee, CA. If you are building a property from scratch or planning a large extension then you can more technically skilled renovators like a good rendering and plastering company or an experienced structural engineer. 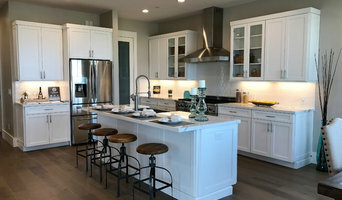 You can also talk and consult a Santee, CA cabinetry professionals about customized designs to add some uniqueness to your home. Don’t forget speciality contractors like home cleaning services, pest control services, and waterproof contractors will also be able to help you maintain your beautiful home. Find specialty contractors on Houzz. Look in the'Find Pros' section of our website. You can also look through photos of Santee, CA specialty contractor’s completed projects to see how specialist home contractors might approach design challenges.